Alyona became a part of the IPR Group in December of 2013 and has since been advising clients on a wide range of trademark-related issues, prepared hundreds of trademark applications, renewal petitions, drafted oppositions, numerous responses to office actions, handling ownership changes with regards to trademarks, as well as advising on trademark infringement matters. Alyona also has an expertise in drafting and recordal of assignment and license agreements. Alyona began her tertiary education at the Kyiv National Economic University named after Vadym Hetman where she took a Bachelor’s program in International Economics and Management from 2009 to 2013; then she moved on to take a Master’s program in Management of International Business in the years 2013 and 2014. Alyona also took a Master’s program in Management of the Intellectual Property at the Kyiv Institute of Intellectual Property of the Odesa National University of Law. 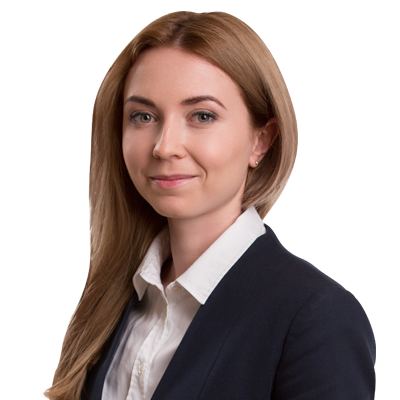 As Trademark Counsel of IPR GROUP, Alyona provides advice and assistance to clients in various aspects of trademark and copyright law in all countries of the CIS region. Her expertise includes also fighting on infringements of IP rights on the Internet and of domain names caused by the use of trademark or manufacturer’s website content without prior consent. Alyona enjoys traveling, as well as oil painting.